Movies, eating outing, socialising, functions - you do all this as a 'family thing'. Then why family checkups are kept aside only for the elderly, head of the family or men in the house? Mother, father, wife, sister, brother - all are imperative pieces of the jigsaw puzzle called 'life'! Each one is equally important, irreplaceable and has varied healthcare needs. All adults in the family require regular preventive checkups to keep a track of their health status, even if they look, sound and appear 'healthy & fit'. Family health checkup package are for one and all in the family because everyone matters in a household and is equally important. Preventive health checkups have time-and-again detected diseases in apparently fit individuals. Don't wait for the symptoms to show up. Detect the illness before it sets in deep. 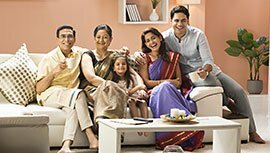 Indus brings to you Couple and family health checkup packages at highly discounted prices, which will not only take care of the diverse health care needs of your family but also save a lot of money and time as doing it together will be more convenient & cost effective. Women in the family should be given utmost importance in checking their health status. Indus has special women health checkup packages which are designed to cater to her special healthcare needs. Women usually tend to neglect their health as they are too busy taking care of the home and family. Therefore, women health checkup should be taken by all females in house on regular intervals. They screen her for certain women specific cancers (breast and cervical cancer), weak bones, thyroid in addition to several other standard tests and procedures. Health checkup for men or fitness checkup for men in the house who are young should also be done and repeated on a cyclic basis as preventive checkups are not once in a lifetime affair rather they should be done on a regular basis to keep a close check on one's health status. For an individual what really matters is to live a healthy life with the family. 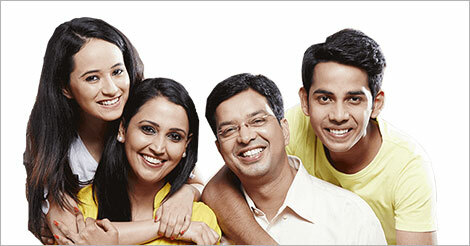 Thus the complete family health checkup is not only the best tool but the most reliable comprehensive checkup. To know more details about family health checkup package by Indus Health Plus, fill below form and we will get back at you to soon.